machine wiring in West Michigan. Our goal is to work together to make the best team to complete your project. pneumatically capable and ready to take on any project! PanelBoy Controls LLC ensures the quality of the work backed behind being UL listed. 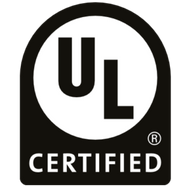 This UL certification ensures upon request all products made or supplied are tested internally at PanelBoy Controls for fit, form, and function before they are sold to customers. Customer therefore can be assured they are receiving the highest quality components consistently. What can PanelBoy Controls do for you? Please click the buttodn below to see a complete list of services. Applicants must be well-rounded with a strong electrical, controls, and machine wiring background. Must be a team player, willing to work overtime, and have a positive attitude. Our company is based in Rockford, MI, but we travel to various machine builders all over West Michigan. -have at least 4 years of panel building and machine wiring experience. -be able to read and interpret schematics and blue prints. -have a valid driver's license and reliable transportation as travel is necessary. Pay is competitive and will be based on experience. We offer benefits, including tuition reimbursement and, paid vacation and holidays, tool allowance, medical insurance, and other perks throughout the year.